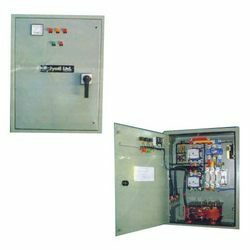 We are leading dealers of Electrical Starter in India. The use of optimum quality materials in the manufacturing of the Motor and Starter ensures high durability, tensile strength and resistivity to adverse conditions. We are actively engaged in offering the high-quality assortment of Slip Ring Motor Starter. 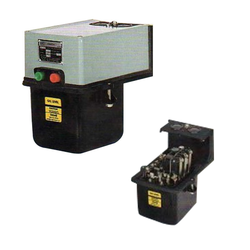 This motor starter finds large application use in the hard industry sector. High performance and accurate production is the most impressive feature of the motor starter. In order to provide excellent production from the motor, our professionals after manufacturing the motor opt for strict quality checks. The offered quality checks include accuracy, circular degree, pistol alignment, power distribution and rotating speed. We have gained expertise in offering a quality approved range of Air Break Direct Online Starter. These are designed to showcase exceptional endurance. The coil of these starters is capitalized and rigorously tested on various parameters such as continuity, pick-up, and drop-off. 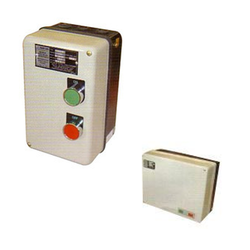 By disconnecting the supply to the motor during low voltage, these also act as under voltage release. These starters are easy to mount and can be fitted with two auxiliary contacts and locks for indication lamps sequence interlocks and other pilot circuits. We are an acclaimed name to offer a wide range of quality proven Oil Immersed Direct Online Starter. Direct Online Motor Starter is ruggedly constructed, totally enclosed and fixed in cast iron frame for wall mounting, An easily removable cover made of steel sheet completely encloses the overload relay and connection terminals to ensure protection from dust and weather, There is provision for fitting pedestal Ammeter on the top of the starter, Oil tank made of deep drawn sheet is fixed with the lower part of the cast iron frame and can be easily removed by loosening nuts on the left and right-hand sides. We are consistently delivering a quality assured range of Slip Ring Motor Starter. These starters are capable of starting a slip ring induction motor in the least time and are capable of accelerating the motor to meet the required starting torque. The slip ring motor has a set of windings on the rotor which are not short circuited but are terminated to a set of slip rings for connection to external resistors and contactors. The slip ring motor enables the starting characteristics of the motor to be totally controlled and modified to suit the load.